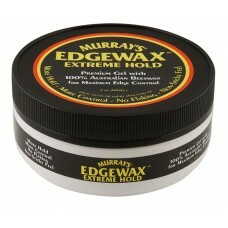 Combines a premium gel with the holding power of Australian beeswax providing a high shine, maximum hold, with no flaking. This product is strong enough for the most demanding areas, yet soft enough for easy application, with added wax with more hold and control. 4oz. jar.